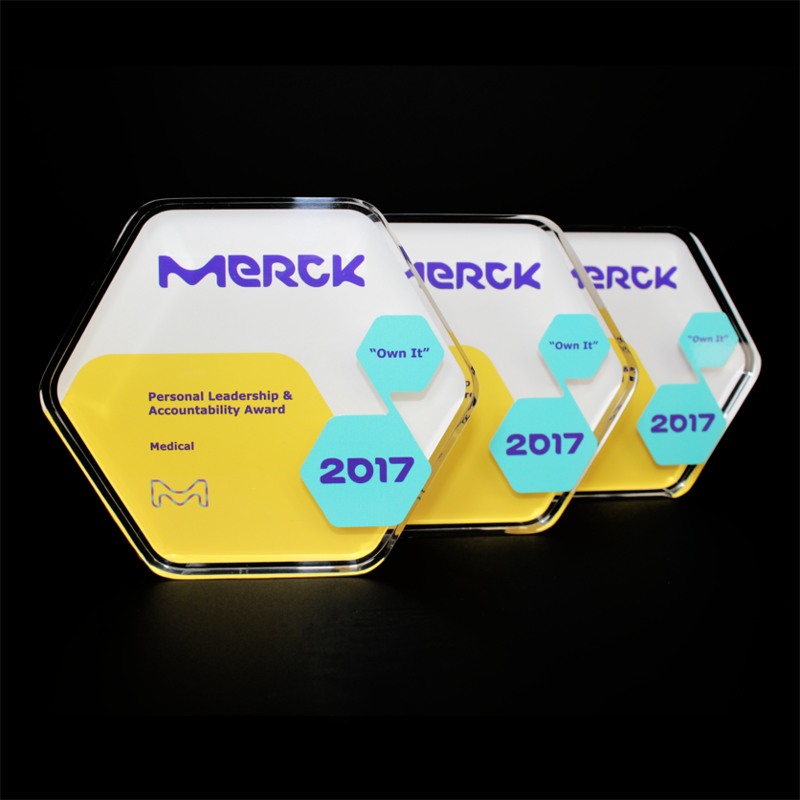 We produce these intriguing awards at regular intervals throughout the year for our customer MERCK. These awards are unique and unparalleled in the respect that they feature custom printed vinyl stickers on both faces of the award. The hexagon shape is custom cut in our factory out of clear acrylic. The acrylic is sanded and polished with absolute exactness in order to be prepared for the vinyl application process. The artwork is created to reflect that of the companies branding guidelines, which once created is printed onto vinyl and stuck to both sides of the award. The small blue hexagons featuring the slogan and year are applied to the front in order to stand out and be the focal point of the award.